Hungry students stare at the clock during the enterity of C period, waiting for lunch to begin. They are starved and tired. Differential and integral calculus does not seem as relevant as eating food. Besides 2:20, lunchtime’s arrival is what ARHS students crave the most. Unfortunately, cafeteria options have changed little over the past few years. Between long lines, small portion sizes, and often unappealing lunch options, it is no wonder why so many students choose to bag their own lunches. If you have the means, a home lunch is currently the better choice. 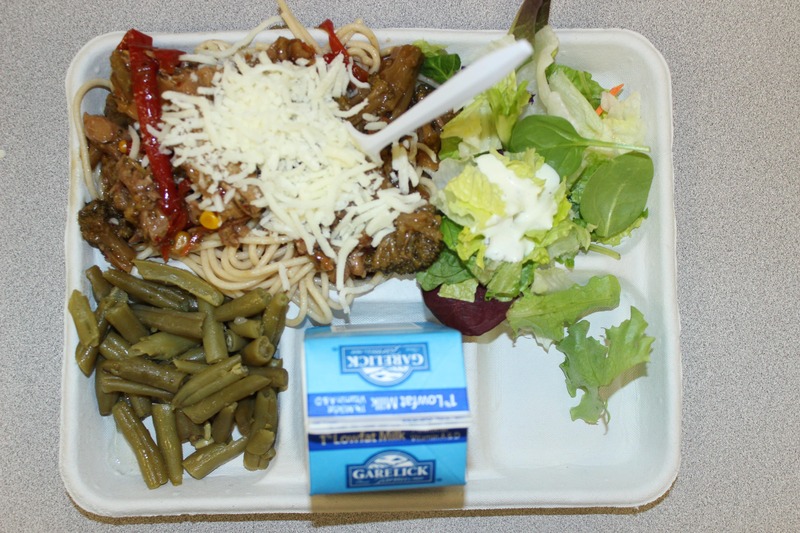 Feeling unsatisfied is common for students who purchase school lunches. Meals are often small and unpalatable, which is frustrating for students who expect lunch to be a break from their academic day. It is no surprise that these small, unsavory meals are less healthy than they could be. Add in long lunch lines, and the cafeteria experience becomes very underwhelming. With that in mind, improvements can be made. Making school lunches larger and tastier is the clear goal, and viable, interesting solutions are available. By incorporating more local produce into cafeteria food, shipping premiums can be eliminated. This makes meals tastier and cheaper. Reducing costs also gives the opportunity to increase portion sizes, since charging the same amount would imply more food. ARHS students are well aware of the school’s culinary programs. Foods 1 and 2 are easily some of the most popular electives, and students already contribute to school nutrition through frequent bake sales and the student store. It is surprising that students have no involvement with school lunches. While it may be inappropriate for students to work in the cafeteria kitchen, a student-run farm could contribute produce to the school. As an elective, the class would provide the freshest produce, and would cost the school nothing in shipping and labor. This type of volunteering is very appealing to some students. Addressing long lunch lines relies solely on improving infrastructure. Unfortunately, cost is a major obstacle, and renovations do not come cheap. A less expensive alternative would be to bring salads, wraps, and burgers—which are always available—away from the kitchen and nearer to the cafeteria. Many students would find it more desirable to grab something, pay, and go, rather than waiting or shuffling through the line. At times, the cash registers are underutilized anyway. Cafeteria lunches are unacceptable as they are. Students often finish lunch hungry, or wishing they had eaten something else. It is clear what needs to be improved: students need more food, and the quality of it needs to be better. Local produce and student involvement can make this a reality, and a remodel would be nice.